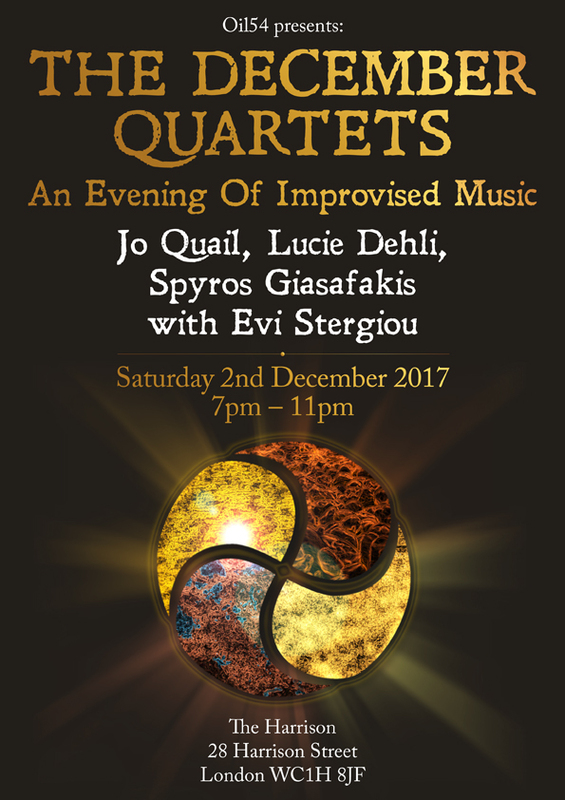 “A rare event where Spyros Giasafakis and Evi Stergiou will perform fragments of ancient Greek music with ‘ancient’ Greek instruments and the marvellous Joanna Quail will join them on her electric cello! Spyros G. will improvise on the ‘ancient’ Greek lyra, pandoura, barbitos, kitharis and many other rare instruments. The wonderful Lucie Dehli will also perform violin and sing on the pieces. All ‘ancient’ Greek instruments created by Nikolaos Brass!